While lawn care is one of the easiest industries to get into it is also one of the businesses with a high failure rate. The good thing is that the costs associated with failure in this business are generally low so it is easy to recover and try something else. Failure is not a bad thing. Many successful entrepreneurs failed numerous times before they finally hit upon a winning business model. While you should focus mostly on studying successful people you can also learn a lot from those who have failed in business. Preferably you can study other people's failures rather than your own though. Many entrepreneurs start a lawn care business and see it fail within the first year and there are many reasons for this that I will examine in this article. Take note of some of the common reasons and then set out to avoid them. 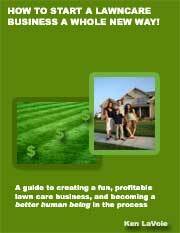 Money is a common reason why many lawn businesses fail. Financial plans are often made based on assumptions that later prove to be unrealistic so it is important that business owners are not overly optimistic. Consider a variety of scenarios and outcomes. Revenues often grow at levels that are lower than what was originally anticipated. This can cause cash flow problems if you have not budgeted for this. On the other hand, expenses are often higher than first estimates. When a lawn company is in its infancy it is important to conserve funds by controlling spending. Equipment can be leased or bought second hand and other cost savings can be made if the business owner is cautious. Budgeting is the key to making sure that your living costs are met and that your business still has what it needs to survive and grow, especially during the off-season. Don't go into debt up to your eyeballs just to start your business. Keep borrowing to a minimum and make sure that you will have access to capital further down the road if you do go through a rough patch. You need sufficient capital but you also need a safety net. You also have to understand your local market and what services the people within that market are looking for. To succeed you have to assess demand, offer the right services in the right place and figure out how to take your piece of the pie. Failure often occurs because an area just cannot support another lawn mowing business operator who is basically doing the same thing as everyone else. Be careful if the market seems to be too saturated. 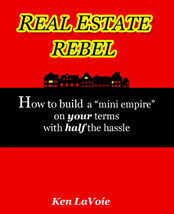 To succeed in most market areas these days you really have to play on your competitive advantages. Don't sell the same services in the same way as all the other lawn companies. Success in business requires you to keep your finger on the pulse at all times. Even if you have plenty of customers you can still fail if you ignore the need to be organized and productive. Failure can come from many different operational issues such as inefficient business practices or unreliable staff. Lawn care operators that mistakenly believe that low pricing is the key to growing fast are usually on a fast track to failure. If you start off pricing at a level that barely makes your business profitable you will have a hard job raising prices later. It is important that you make a study of pricing and offer estimates that are fair and profitable. Successful business owners recognize that the customer is the king in the service industry. Business owners that do not build and maintain relationships with their customers risk losing them. They also risk losing all of the customers that could have come through positive customer 'word of mouth' referrals. Part of providing good customer service in the lawn care business involves quality control and a consistently high service standard. This high level of service has to be maintained, even once you have taken on employees. Some entrepreneurs just do not have the determination that it takes to carry out a plan all the way to the end goal of success and profitability. They see a few failures and give up where as if they had stayed motivated and persisted, some of the early problems could have been easily overcome. Other reasons for failure include not seeking advice from professionals regarding legal and accounting matters, not having adequate insurance and not putting aside sufficient funds for taxes. 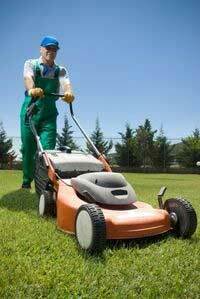 A disagreement between business partners is also a common reason why a lawn business will close down. You can increase your chances of success through planning. Rather than just drifting along and hoping that everything will come together you should have a solid lawn care business plan in place. If you are going to start a lawn care business you should learn everything that you can about the industry both nationally and locally. Your research should extend beyond lawn care and into other areas of business such as marketing, branding, customer services and management. While business growth is generally desirable it can kill you if it happens too fast. Some lawn care business owners set up a system for a small business with 30 accounts and then find that when they grow to a business with 300 accounts things get out of control. Grow at a rate that you are comfortable with. Make sure that your business systems and employee requirements are one step ahead of your growing customer base. These are just some of the reasons for lawn care business failure. These reasons can all be overcome with research, planning and determination so make sure that you do not make these mistakes when you start your new business venture.